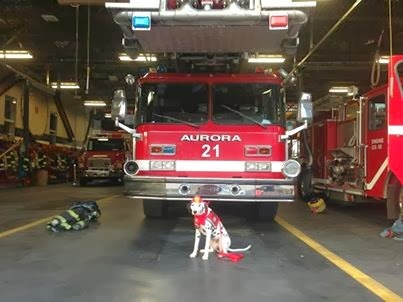 Fire Safety Rocks: A Visit with Firefighters from the Aurora Fire Department! 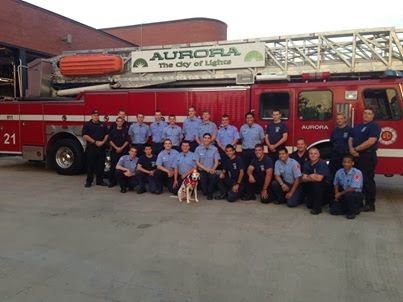 A Visit with Firefighters from the Aurora Fire Department! 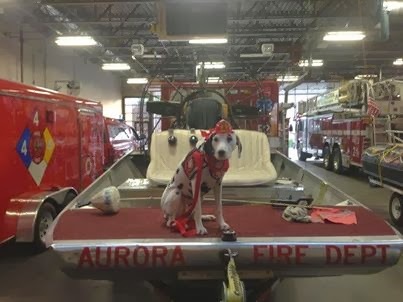 This evening before my appearance and presentation at the Aurora Regional Fire Museum, I visited the Aurora Fire Department fire station. The firefighters were so nice and showed me their station and fire trucks. This is an air boat rescue vehicle! How cool is this? The firefighters let me pose with them and their "Scouts" from their department. The Scouts train learning to be a firefighter some day! 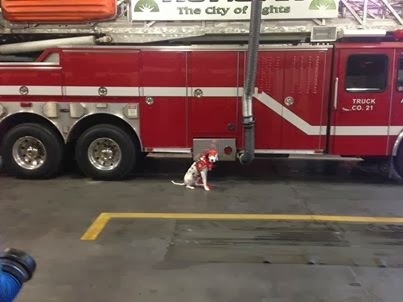 The fire department has a paw some Scout program!